This week's charts, with data taken from December 15th, 2011, find Just Dance 3 and Modern Warfare 3 leading domestic multiplatform sales, while Monster Hunter 3G and Final Fantasy XIII-2 emerge as big sellers in Japan. North America: 1. Just Dance 3 (Ubisoft, Wii), 2. Call of Duty: Modern Warfare 3 (Activision, X360), 3. The Elder Scrolls V: Skyrim (Bethesda, X360), 4. Kinect Sports Season Two (Microsoft, X360), 5. Call of Duty: Modern Warfare 3 (Activision, PS3). Japan: 1. Monster Hunter 3G (Capcom, 3DS), 2. Final Fantasy XIII-2 (Square Enix, PS3), 3. Mario Kart 7 (Nintendo, 3DS), 4. Super Mario 3D Land (Nintendo, 3DS), 5. Hoshi no Kirby Wii (Nintendo, Wii). UK: 1. Just Dance 3 - Special Edition (Ubisoft, Wii), 2. Call of Duty: Modern Warfare 3 (Activision, X360), 3. The Elder Scrolls V: Skyrim (Bethesda, X360), 4. Call of Duty: Modern Warfare 3 (Activision, PS3), 5. Mario & Sonic at the London 2012 Olympic Games (Sega, Wii). Call of Duty: Modern Warfare 3 and The Elder Scrolls V: Skyrim join reigning chart leader Just Dance 3 as North America's biggest-selling titles in the weeks leading up to Christmas. 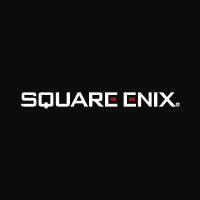 Capcom's recently released Monster Hunter 3G and Square Enix's Final Fantasy XIII-2 lead the charts in Japan, as Just Dance 3 and Modern Warfare 2 maintain top sales in the UK. North America: 1. Just Dance 3 (Ubisoft), 2. The Legend of Zelda: Skyward Sword (Nintendo), 3. Zumba Fitness 2 (Majesco), 4. Skylanders Spyro's Adventure Starter Pack (Activision), 5. New Super Mario Bros. Wii (Nintendo). Japan: 1. Hoshi no Kirby Wii (Nintendo), 2. PokePark 2: Beyond the World (Nintendo), 3. Just Dance Wii (Nintendo), 4. Mario Kart Wii (Nintendo), 5. Mario & Sonic At London Olympic (Nintendo). UK: 1. Just Dance 3 - Special Edition (Ubisoft), 2. Mario & Sonic at the London 2012 Olympic Games (Sega), 3. Zumba Fitness (505 Games), 4. ABBA: You Can Dance (Ubisoft), 5. Zumba Fitness 2 (505 Games). Just Dance 3 remains the Wii's fastest-selling title stateside and in Europe. The Legend of Zelda: Skyward Sword and Zumba Fitness 2 also report big sales in the United States, as PokePark 2 goes up against Kirby's Return to Dreamland in Japan. North America: 1. Call of Duty: Modern Warfare 3 (Activision), 2. The Elder Scrolls V: Skyrim (Bethesda), 3. Kinect Sports Season Two (Microsoft), 4. Assassin's Creed Revelations (Ubisoft), 5. Just Dance 3 (Ubisoft). Japan: 1. The Elder Scrolls V: Skyrim (Bethesda), 2. Kinect Disneyland Adventures (Microsoft), 3. Final Fantasy XIII-2 (Square Enix), 4. Your Shape: Fitness Evolved 2012 (Ubisoft), 5. Dance Central 2 (Microsoft). UK: 1. Call of Duty: Modern Warfare 3 (Activision), 2. The Elder Scrolls V: Skyrim (Bethesda), 3. Assassin's Creed Revelations (Ubisoft), 4. FIFA 12 (EA Sports), 5. Battlefield 3 (EA Games). Call of Duty: Modern Warfare 3 topples last week's Xbox 360 chart leader The Elder Scrolls V: Skyrim in the UK, while Kinect Sports Season Two emerges as a top seller stateside following a price drop at Amazon. North America: 1. Call of Duty: Modern Warfare 3 (Activision), 2. Uncharted 3: Drake's Deception (SCEA), 3. Batman: Arkham City (Warner Bros), 4. Assassin's Creed Revelations (Ubisoft), 5. The Elder Scrolls V: Skyrim (Bethesda). Japan: 1. Final Fantasy XIII-2 (Square Enix), 2. Kidou Senshi Gundam: Extreme VS (Namco Bandai), 3. The Elder Scrolls V: Skyrim (Bethesda), 4. Call of Duty: Modern Warfare 3 - Subtitled Edition (Square Enix), 5. Monster Hunter Portable 3rd HD Edition (Capcom). UK: 1. Call of Duty: Modern Warfare 3 (Activision), 2. The Elder Scrolls V: Skyrim (Bethesda), 3. Battlefield 3 (EA Games), 4. FIFA 12 (EA Sports), 5. Batman: Arkham City (Warner Bros). Final Fantasy XIII-2 makes a chart-topping debut in Japan, unseating last week's chart winner Kidou Senshi Gundam: Extreme VS. Modern Warfare 3 heads the charts stateside and in the UK, as Uncharted 3 maintains strong sales in North America. North America: 1. Just Cause 2 - Download Edition (Square Enix), 2. The Elder Scrolls V: Skyrim (Bethesda), 3. Call of Duty: Modern Warfare 3 (Activision), 4. Battlefield 3 (EA Games), 5. Flight Simulator X: Gold Edition (Microsoft). Japan: 1. Ragnarok Online RJC2011: Process to the Hero Vol 2 (E Frontier), 2. Ragnarok Online RJC2011: Process to the Hero Vol 1 (E Frontier), 3. RPG Tsukuru VX Ace (Kadokawa Games), 4. Battlefield 3 (EA Games), 5. Saints Row The Third (Cyber Front). UK: 1. Football Manager 2012 (Sega), 2. The Elder Scrolls V: Skyrim (Bethesda), 3. The Sims 3: Pets (EA Games), 4. The Sims 3 (EA Games), 5. Call of Duty: Modern Warfare 3 (Activision). A price-dropped, downloadable version of Just Cause 2 narrowly beats Skyrim for top honors in Amazon's domestic PC charts this week, while Football Manager 2012 continues to dominate platform sales in the UK. North America: 1. Mario Kart 7 (Nintendo), 2. Super Mario 3D Land (Nintendo), 3. The Legend of Zelda: Ocarina of Time 3D (Nintendo), 4. Lego Star Wars III: The Clone Wars 3D (LucasArts), 5. Nintendogs + Cats: Golden Retriever and New Friends (Nintendo). Japan: 1. Monster Hunter 3G (Capcom), 2. Mario Kart 7 (Nintendo), 3. Super Mario 3D Land (Nintendo), 4. Inazuma Eleven Go: Shine (Level 5), 5. Inazuma Eleven Go: Dark (Level 5). UK: 1. Mario Kart 7 (Nintendo), 2. Super Mario 3D Land (Nintendo), 3. The Legend of Zelda: Ocarina of Time 3D (Nintendo), 4. Super Pokemon Rumble (Nintendo), 5. Sonic Generations (Sega). Mario Kart 7 and Super Mario 3D Land remain the 3DS's biggest-selling titles in North America and in Europe, as an upgraded version of Capcom's Monster Hunter Tri leads the Japanese charts in its debut week. North America: 1. New Super Mario Bros. (Nintendo), 2. Mario Kart DS (Nintendo), 3. Monster High: Ghoul Spirit (THQ), 4. Plants vs. Zombies (PopCap), 5. Kirby Mass Attack (Nintendo). Japan: 1. Tongari Boushi to Oshare na Mahou Tsukai (Konami), 2. One Piece: Gigant Battle 2 - Shinsekai (Namco Bandai), 3. Tamagotchi Collection (Namco Bandai), 4. Atsumete! Kirby (Nintendo), 5. Mario Kart DS (Nintendo). UK: 1. Professor Layton and the Spectre's Call (Nintendo), 2. Moshi Monsters: Moshling Zoo (Activision), 3. Let's Draw! (Majesco), 4. Mario Kart DS (Nintendo), 5. Lego Harry Potter: Years 5-7 (Warner Bros). New Super Mario Bros. and Mario Kart DS claim top honors in the DS charts stateside, pushing last week's sales leader Kirby Mass Attack to fifth place. Konami's Magician's Quest sequel Tongari Boushi to Oshare na Mahou Tsukai heads the week's results in Japan, as Professor Layton and the Spectre's Call leads the UK charts for the second week running. North America: 1. Need for Speed: Most Wanted (EA Games), 2. Shin Megami Tensei: Persona 2 Innocent Sin (Atlus), 3. Tactics Ogre: Let Us Cling Together (Square Enix), 4. Medal of Honors (EA Games), 5. Kingdom Hearts: Birth by Sleep (Square Enix). Japan: 1. World Soccer Winning Eleven 2012 (Konami), 2. Final Fantasy Reishiki (Square Enix), 3. AKB1/48: Idol to Guam de Koishitara... - Limited Edition (Namco Bandai), 4. Monster Hunter Portable 3rd (Capcom), 5. Danball Senki Boost (Level 5). UK: 1. FIFA 12 (EA Sports), 2. Lego Harry Potter: Years 5-7 (Warner Bros), 3. Assassin's Creed: Bloodlines (Ubisoft), 4. Football Manager Handheld 2012 (Sega), 5. Grand Theft Auto: Liberty City Stories (Rockstar). A round of price drops at Amazon puts Shin Megami Tensei: Persona 2 Innocent Sin and Tactics Ogre among this week's top PSP sellers in North America, while recent releases like World Soccer Winning Eleven 2012 and Final Fantasy Reishiki continue to rank as the platform's biggest sellers in Japan.